Business and Industry Today is delighted to announce that Don Valley Engineering Ltd (DVE) has been chosen as its prestigious Engineering Specialist of the Month. As experts in design, build and installation, Don Valley Engineering is a recognisable machinery manufacturer and supplier based in Doncaster. 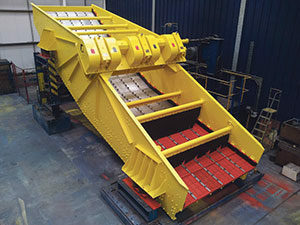 Established in 1947 by a group of experienced engineers, the company predominantly specialises in the delivery of first class screens, vibrating centrifuges, vibrating feeders, apron feeders, belt feeders, conveyors and specialist process malting’s equipment to complete material handling solutions. Its central placement in the heart of Yorkshire coal fields meant conducting repair and general fabrication work for those within the coal industry made the most sense. 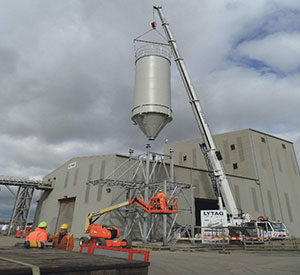 However, continued progression enabled the team to shift their focus onto other areas and as a result, DVE is now competent at fulfilling the needs of individuals working amidst the processing of bulk materials & solid handling, specialising in screening, centrifuging and malting’s process equipment production segments. “As the company evolved new industries and markets emerged, bringing new opportunities and challenges,” explained Group Sales Manager, Jeff Buxton. 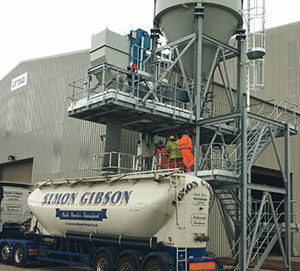 “We soon built a reputation with new and existing customers for consistency and quality whilst acquiring status as the supplier of choice for the sourcing of linear screens, centrifuges, feeders and maltings equipment. It was in 2009 when the Don Valley group of companies were formed; a cluster of dedicated divisions each with its own industry-specific knowledge and expertise. The singular organisations are Don Valley Engineering, Construction, Maltings and Cleeve MH (a provider of material handling solutions to the water treatment, chemical, food, alternative fuels and waste to energy markets); departments set up to offer clients a more comprehensive & focused material handling service. 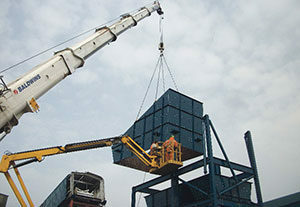 With its competent workforce and extensive range of equipment, DVE is strongly positioned to provide full turnkey solutions for the process industries and material handling of bulk solids and is widely appreciated for its competencies in operating within the heavy industries of power, biomass, iron & steel, mineral, aggregates and recycling. The selection of systems and services include conceptual design & feasibility studies, FEEDS, EPC, Design, Build, Risk Management, Site management, Site Supervision and CDM 2015. “The company is very forward-thinking and is always looking to progress, either by organic growth or through acquisition of competitor services or other services (should the right opportunity arise),” Jeff concluded. “We hold trade shows in high regard and most recently attended the largest materials handling exhibition aimed for the aggregates industries, Hillhead 2016, where we demonstrated a live working linear screen designed specifically for the exhibition and marketed for sale at the show. To find out more about the company, which is deservedly QMS ISO: 9001: 2008 accredited, MHEA, AVETTA (PICS) contractor approved and Achilles Accredited, then please contact DVE today. This entry was posted in Company of the Month, Featured and tagged Engineering. Bookmark the permalink.